The United States is no more, and the western territories belong to the Republic. Constantly at war with other nations, the Republic trains the elite member's children to be high ranking soldiers in the fight. while the lower classes suffer another fate especially if they fail the trials. June is a prodigy, the only one to achieve a perfect score. Day on the other hand failed his trials and is now the nation's most wanted criminal. The two would have never crossed paths if not for the murder of June's brother that puts Day front and center as the prime suspect. However, in June's quest to bring Day to justice she will learn that not everything is as black and white as she once thought. The best thing about Legend was the dual first person perspectives. By seeing into both June and Day's head, I felt like I had insider information. I was literally on the edge of my seat as I watched everything unfurl. The anticipation of either one learning the other's secrets was quite intense. They come from so very different worlds, and yet they are so similar at the same time. They both have the same analytical way of thinking, and even if their upbringings had of been reversed, I don't see either one of them changing very much. Don't get me wrong, they definitely each had their own unique personality, I just saw them a kindred spirits of sorts. Even though I knew it was coming based on the description I was utterly heartbroken when Metias was murdered. I'm not sure why, but I feel instantly in love with his character. Coming back to the dual perspectives aspect, we know that everything isn't black and white. So, I stayed in denial throughout the entire book that it was just some cruel joke/form of control the Republic was using against June. Luckily, I was able to put my disappointment aside somewhat as I fell for Day as well due to his very admirable character. It would have been very easy for him to have turned his rebellions into violent ones, but he always went out of his way to avoid injuries even if it meant a higher risk to him. He is like the poster child for what to do in a rebellion, hurt the core of the problem, but not the innocent parties. If more people were like him there would be a whole lot less senseless violence out there. 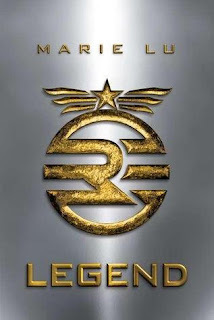 As much as I enjoyed Legend, I also found it to be incredibly frustrating. Even though there wasn't really a slow or dull moment, there didn't seem to be a whole lot of plot progression. The amount of questions remaining at the end greatly outweighed the answers. Also, I would have preferred a little more development or explanation as to why/how things got to be they way they were. I realize that the characters themselves were kept in the dark in this area in order to keep control, but the lack of information just made me feel like a fish out of water. I'm really hoping the next installment will have more revelations as to how the Republic came to be. In the end I guess some of this frustration is to be expected in a trilogy. 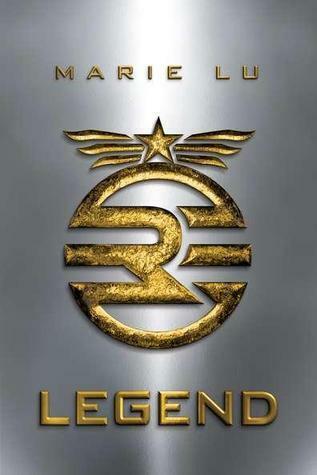 So, I would have to recommend Legend to anyone who is obsessed with dystopian books and loves an action packed story.